Such a great song! Going straight to my heart with these lyrics. And perfectly framed musically. "Did this one get under your skin?" New Music: Dave Hause – “Seasons Greetings From Ferguson"
Oh, boy...I have lots of feelings about this one. I think I need to sleep on it before making any comments. Did this one get under your skin? Did you see the shape his momma was in? When you can’t build you burn can you call that a sin? in a system that would intervene on behalf of a few not for a greedy machine? is trusting cops like trusting a priest? you look to get saved but get fucked or get fleeced? My first reaction was: "Wow, he nailed it." I think it's very powerful. It gave me goosebumps. "It will be up for download in about 2 weeks. I'll post about it when that happens. We are working out how to get some of the money (when it goes up for sale) to the Ferguson Library." Having been in the public safety field for 17 years, I think I'll just say that I enjoyed the song but respectfully disagree with Dave's interpretation of the events in Ferguson. You´re not the only one. I read some very critical and biting comments on Dave´s facebook page. Well, he wrote a song about his feelings and one point of view. There is always another, different one when you´re not writing just meaningless lovesongs. I guess he has to deal with the critique now. Don't get me wrong, I completely respect him for having the guts to write a song about such a controversial issue. This case is a big deal in the states and shortly after Ferguson, there was a case in New York where another white police officer was not indicted in the death of an unarmed black man. So two similar cases coming one right after another has resulted in a lot of mistrust of the police in America and protests all over the country. It is absolutely a tragedy that these two individuals died but there is a great deal to these cases that goes unreported by the media or is "swung" in the direction that the news wants people to hear or believe. It´s in the news over here too, but not that much. To be honest I don´t know enough about this topic to have a basis for a qualified discussion. But I know one thing for sure: There must be justice. 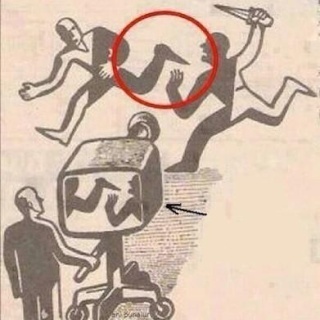 "Don't let media define the way you see things." Live premiere yesterday in New Brunswick! Before he played this song, he mentioned that this may be the only time he plays it live because it's the most appropriate time to play it (or something to that effect). He could of course change his mind down the road but I figured I'd mention it. Agreed, what a shame. And I also don't think he's right. Springsteen wrote a song 'American Skin (41 Shots)' after the police shot Amadou Diallo (this happened in 1999). There's still relevance to that song (unfortunately) and he still plays it in concert. Honestly, I'd feel really weird about it if a large crowd sang along to this song. Maybe because it's too real. People don't really sing along to American Skin (41 Shots) either in my experience and I think it's better that way. But I agree, it'll still be relevant later, I think he was just saying it has the most significance right now. I can't see why it is weird to sing along to a protest/political song if I agree with the message. That's what those songs are written for. Get the lyrics, think about it and shout it out loud. And the message doesn't get old. U2's Sunday Bloody Sunday is still relevant - 31 years after its release and 42 years after this bloody sunday in 1972. But: if people don't want to sing along, they don't. I happen to do sing along, especially to songs like American Skin (41 shots), Sunday bloody Sunday. But to each their own. I guess it depends on what type of singing along it is? This is all my personal opinion but it just feels weird to me unless it's like kind of a quieter singing along. You mentioning the whole crowd singing along kind of put a weird image in my head of hundreds of people almost joyfully singing along (not that they would be feeling joyful). I guess I also just personally either quietly mouth the words to songs like this or not at all, because it's kind of too real and specific and I'd rather stand in silent reflection on something that didn't happen to me, but was a very real thing that happened to a fellow human being, rather than singing along like this is my song too (which is how I feel when I sing along to songs that speak to my own experiences). I tried writing out an explanation of what I mean but I don't know how to do so without being misinterpreted. I guess that, while I do support most of what Dave speaks about in the song, singing along just feels weird to me. If you wanna sing along to it, go for it. I do not judge anyone for that and I can understand why others would view that as the best way to support the ideas in the song. It's just my own personal feeling on the subject. We are all different. And we are all equal. This is excatly what it´s all about! Season´s Greetings From Ferguson is now available for download on the benefit compilation "Music For Everyone" along with many other great songs!